Theater and Media Studies Honors 1st year 2nd semester Form fill up notice. 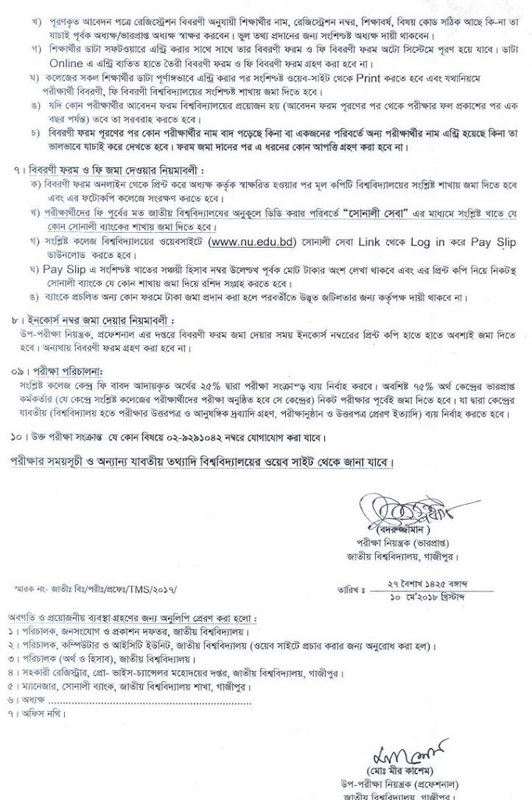 This notice published by the National University of Bangladesh official website and the nu authority. 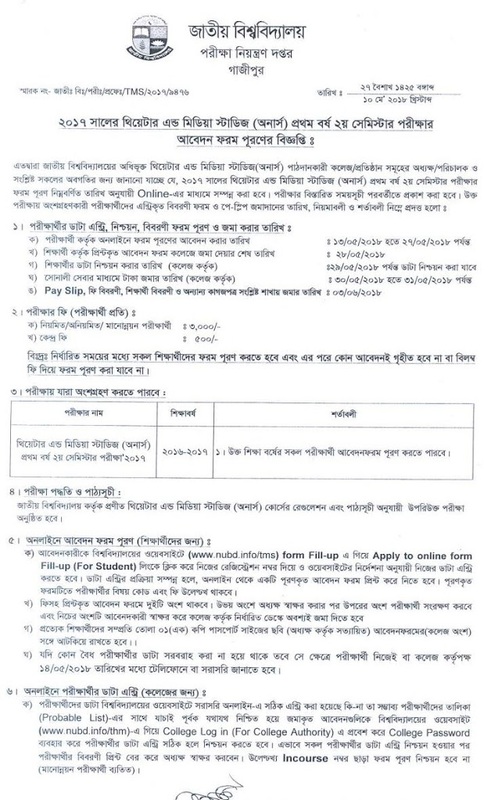 form fill up start on the 13th May 2018 th to 27 May 2018. see the details about this notice. Last date of form submission at collete: 28 May 2018. Date Selection date (for College): 30th May 2018 to 31th May 2018. For more Information stay with us. or Visite this website regularly.